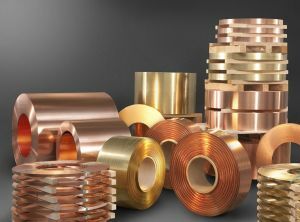 SAG produce a range of copper coil and sheet for use in roofing, cladding & general fabrication. - 0.6mm thick 50mm wide half hard temper. - 0.6mm thick 600mm wide half hard temper. - 0.6mm thick 1000mm wide half hard temper. - 0.6mm thick 600mm wide soft temper. - 0.6mm thick 1000mm wide soft temper. Also available in 0.7mm thick and various other widths to order. SAG copper is available in coil form for site installation or manufacture into cladding panels / roofing accessories.